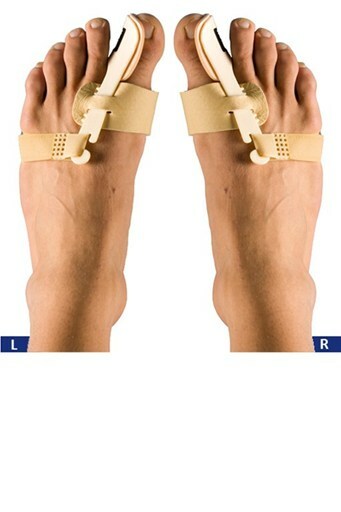 #388 HALLUX VALGUS NIGHT TIME SPLINTDescription: This rigid toe spreader prevents lateral deviation of the big toe, securely fastened around the distal foot, providing comfortable support. Indications: Prevents or delays surgery by maintaining the correct anatomical alignment of the first two toes at night or at rest. Separate left and right feet. Fitting Instructions: Simply fits over distal foot and around big toe with adjustable straps for comfort and support.